Sorry, this is currently out of stock and may take us a little longer to deliver. 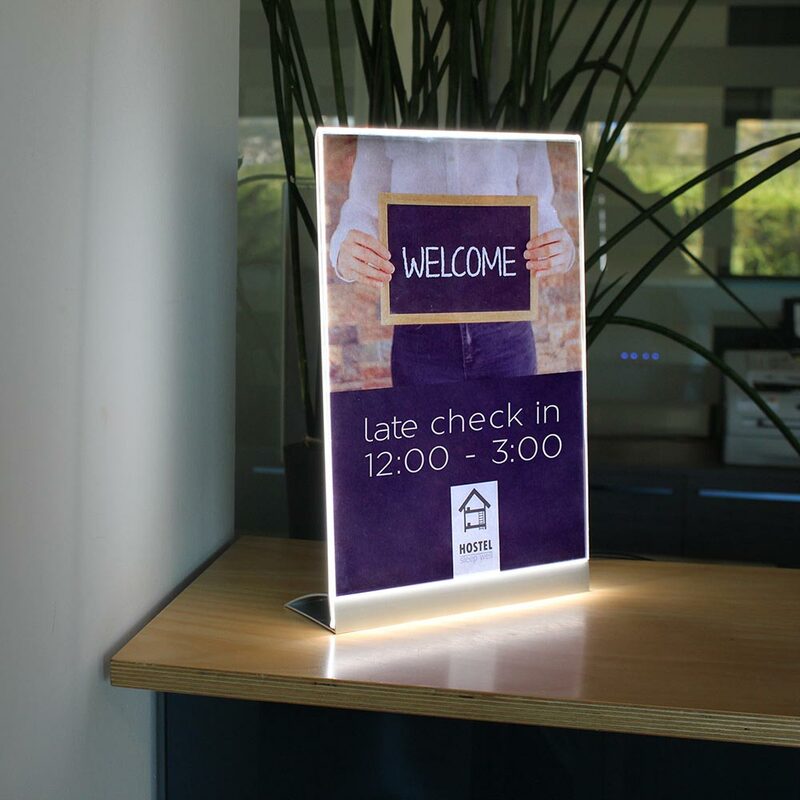 Lumos² is the latest version of our patented LED sign fixing. 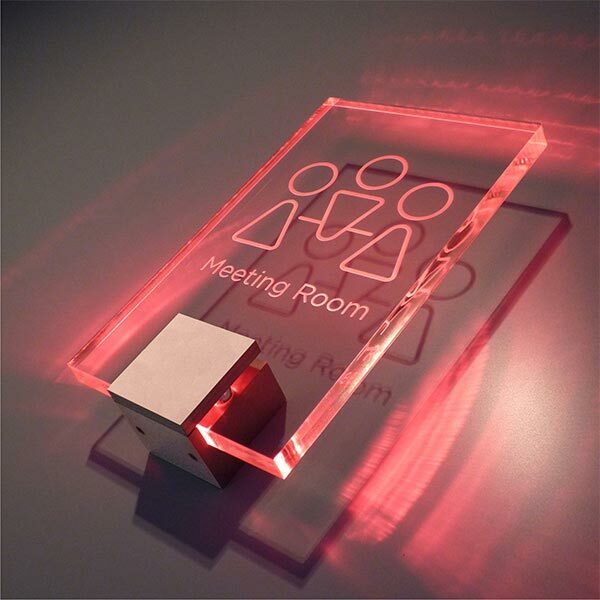 Precision engineered in satin anodised aluminium, 40mm square x 35mm deep, Lumos² is designed to support & edge illuminate laser-etched acrylic panels. 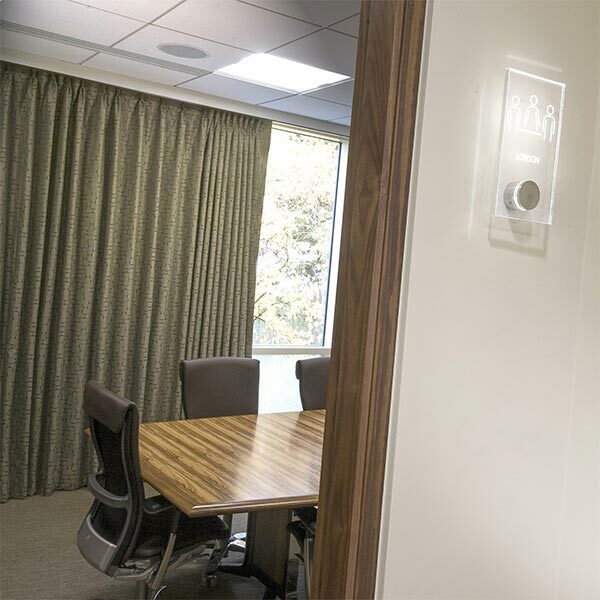 With a rated life of some 50,000 hours, the ultra bright 1W Luxeon LED's are 'fit & forget' devices. Operating on low voltage DC, the electronic driver can be positioned in an accessible location, up to 4 metres from the fitting. 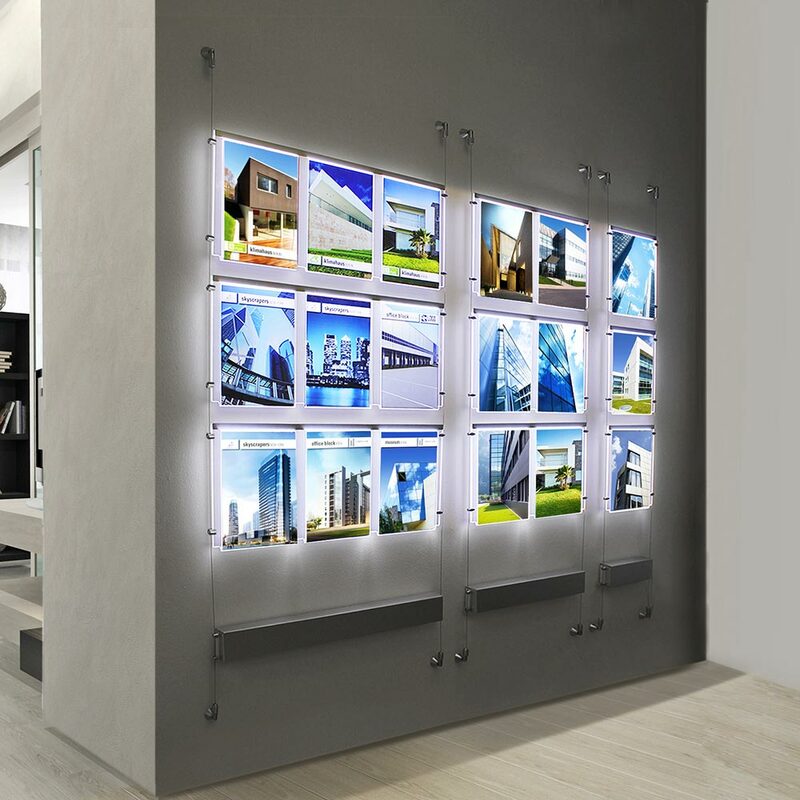 The Lumos² fixings can be fully weatherproofed for external signs and are Eco-friendly due to their very low power consumption. 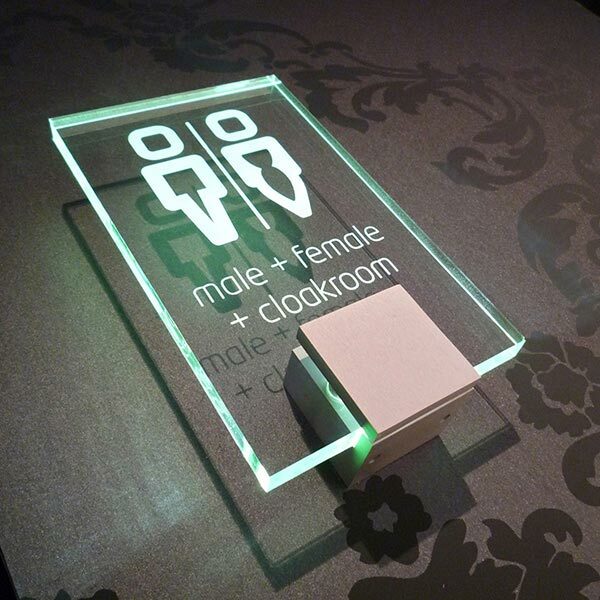 Utilised in a single format for room signs, Lumos² is available in a white LED as standard online. 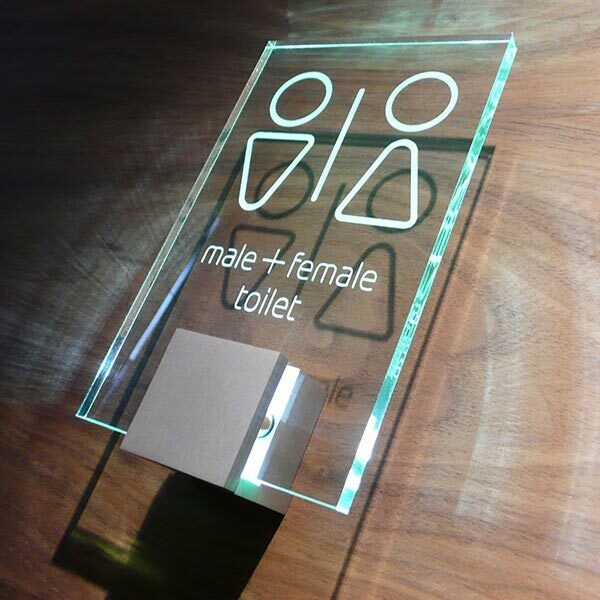 100(w) x 160(h)mm panel shown in 8mm thick silica acrylic supported with a Lumos² and complete with electronic driver. 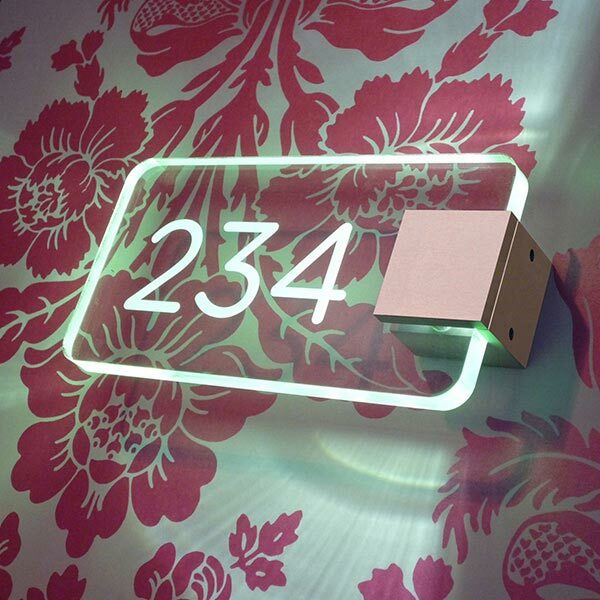 For alternative LED colour options and designs please contact our sales team.